I must confess to a weakness when it comes to throwing stuff away. This is particularly true of techie stuff. Whilst I have occasionally cannibalised an old machine for parts, there is a regrettably large part of the garage reserved for “vintage” hardware that I might just need at some point. I’ve recently added to this hoard. I’ve finally gone and got a replacement for my ageing netbook. 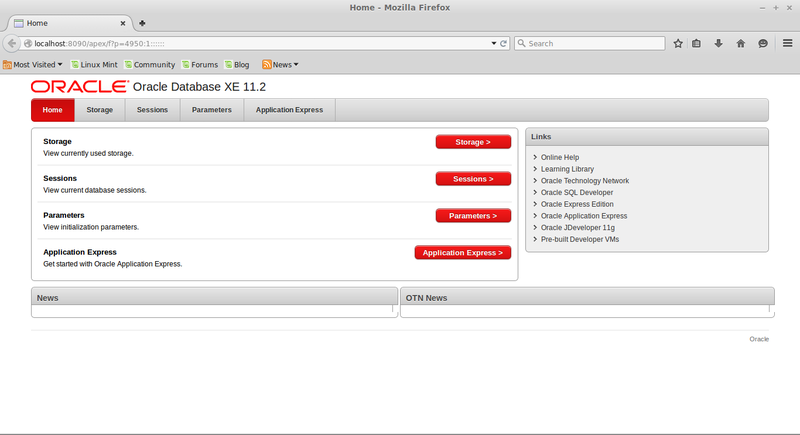 As part of the configuration of the new machine, I’ve installed Oracle XE again. I’m now poised to attempt an upgrade to a shiny new version of APEX. First of all though, if you are similarly keen to upgrade from the venerable APEX 4.0, which XE ships with, to something more modern, your hoarding instincts may kick-in when it comes to the default Database Management Application. Once you upgrade APEX 4 to any subsequent version, this application “disappears”. 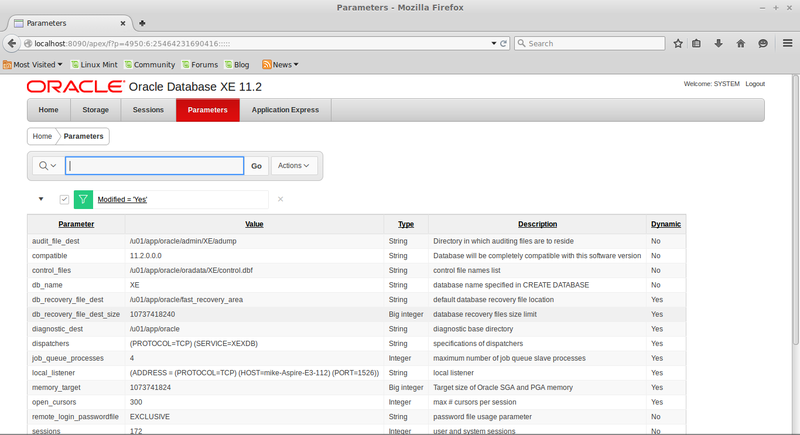 The functionality it offers is readily available through SQLDeveloper (or indeed, any of the major Oracle Database IDE’s). Alternatively, it’s a fairly simple matter to come up with your own, improved version. Not convinced ? Oh well, I suppose we’d better save it for re-deployment into your new APEX environment. 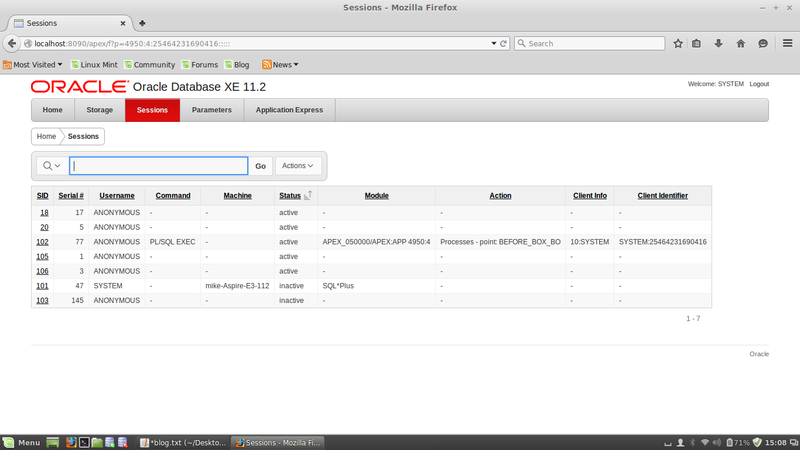 I’ve tested this process against both APEX4.2 and APEX5.0 running on Oracle XE11g. In the steps that follow, I’m assuming that you’re upgrading to APEX5.0. The main difference here is the APEX owning schema. For APEX4.2, the owner is APEX_040200, in APEX 5.0 it’s APEX_050000. As the APEX upgrade takes place entirely within the database, the steps that follow are platform independent. Incidentally, if you’re wondering exactly how you would upgrade XE11g to this APEX version, details will follow in my next post. worried too much about any security implications for some of the activities detailed below. The script below uses the APEX4 PL/SQL API to create an export of the application. This is simply an SQL file that we’ll need to do some light hacking and then run it against the database once the APEX upgrade is completed. There are a couple of points to note prior to running this script. The first is that it must be run as SYSTEM as this is the parsing schema for this application. The second is that you will need to grant execute on UTL_FILE to SYSTEM. So connect as SYS as sysdba and..
Now that’s done, connect as system and execute the script. Once this is done, you should have a file called f4950.sql in the DATA_PUMP_DIR. There are a couple of things that we need to change in the export script. The first is the call to the USER_IS_DBA function. This function was moved from the WWV_FLOW_LOGIN package to WWV_FLOW_SECURITY in APEX 4.2, where( as at APEX 5.0), it still resides. The other thing to change is the name of the APEX owner. In my case ( migrating to APEX5), this will change from APEX_040000 to APEX_050000. Before running our application export against the new APEX repository, we need to grant select on the relevant views directly to the APEX owner. Now that’s done, we can simply connect as SYSTEM and run our import. SP2-0734: unknown command beginning "Content-ty..." - rest of line ignored. SP2-0734: unknown command beginning "Content-le..." - rest of line ignored. NOTE – the first time you click on a tab that requires login, there is a bit of an issue. Instead of prompting for login credentials, the text “Content-type:text/html; charset=utf8” appears in the top-left of the page. If you click the tab a second time, you will get prompted for login credentials as expected. 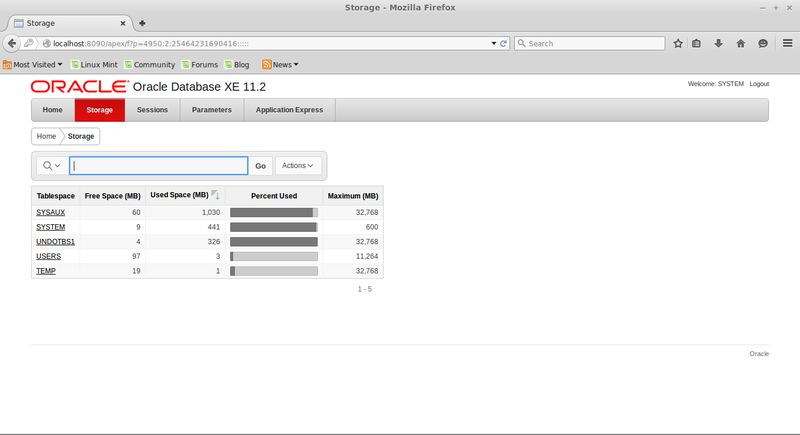 As a word of caution, I’d be wary of using the Application Express tab for APEX admin on the database. Instead, I’d use the APEX URL specific to the installed APEX version for this purpose. Right, off to sort out the clutter in the garage. This entry was posted in APEX, Oracle, PL/SQL, SQL and tagged dba_directories, UTL_FILE, wwv_flow_utilities.export_application_to_clob by mikesmithers. Bookmark the permalink. Good explanation. Needless to say I discovered your blog *after* I upgraded to Apex 5.0 and had already wiped out my 4950 app, but that’s what virtual machines are for, eh? I just spun up a new XE in VirtualBox and got what I needed from that. It’s not that I am particularly wedded to that lame Management Application, but like you I hate to lose something that’s been given to me; moreover the exercise was useful to get my feet wet understanding and hacking Apex via sqlplus. So thanks. Thanks a lot for the post. It is very informative for a newbie to both Oracle and APEX.